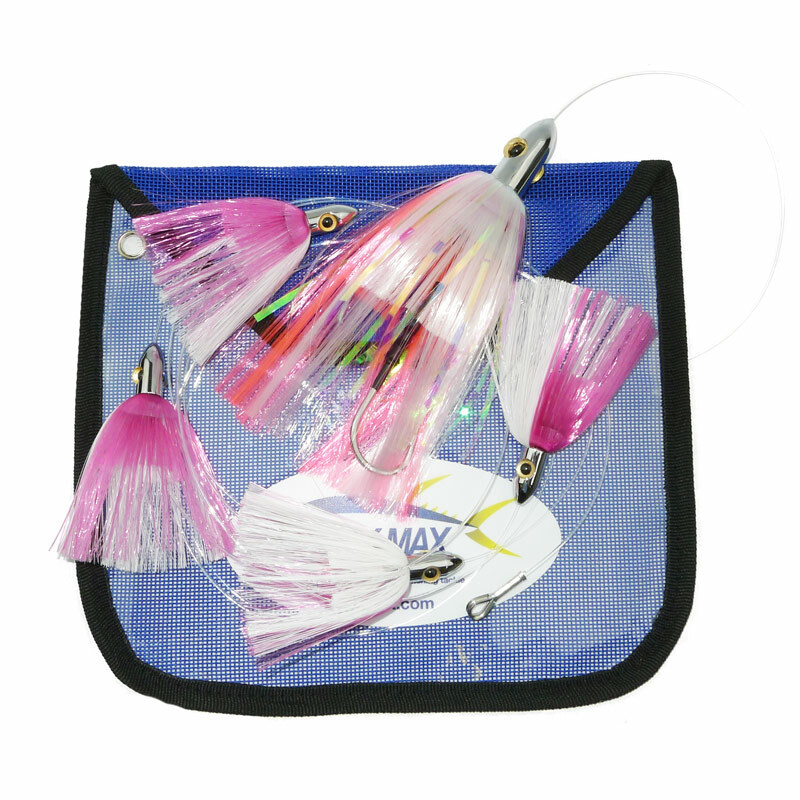 The Moldcraft Super Chugger is a classic lure with proven ability and marlin records to back it up. 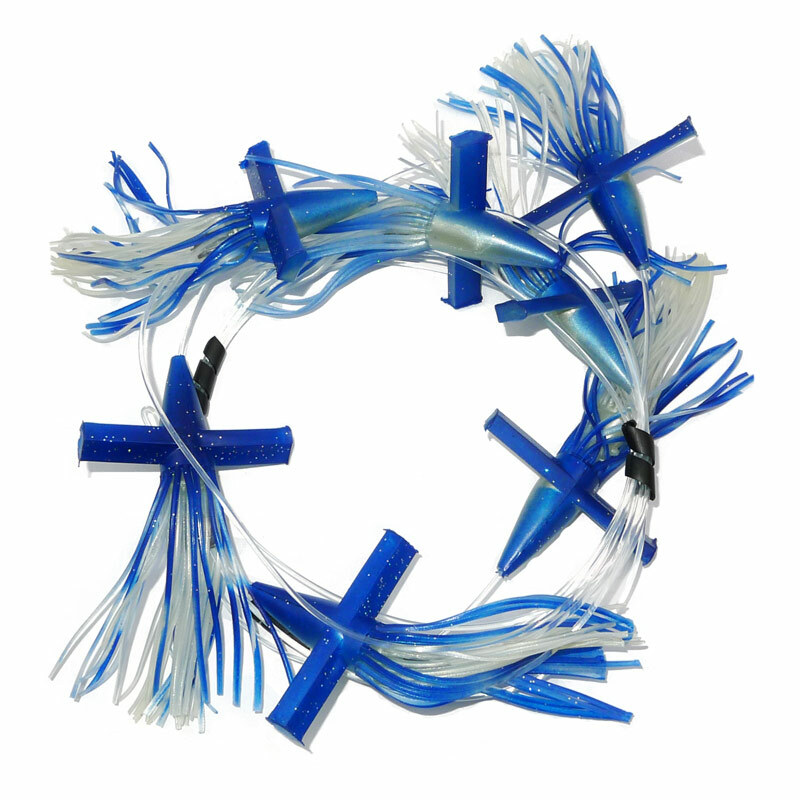 This attractor/teaser set-up features the best of 2 sizes. 4 Little Super Chuggers are run in front of a Standard Super Chugger to give a balanced outfit for trolling at speeds of 6 to 14 knots. The deeply concave heads produce the attraction and bubble trails. 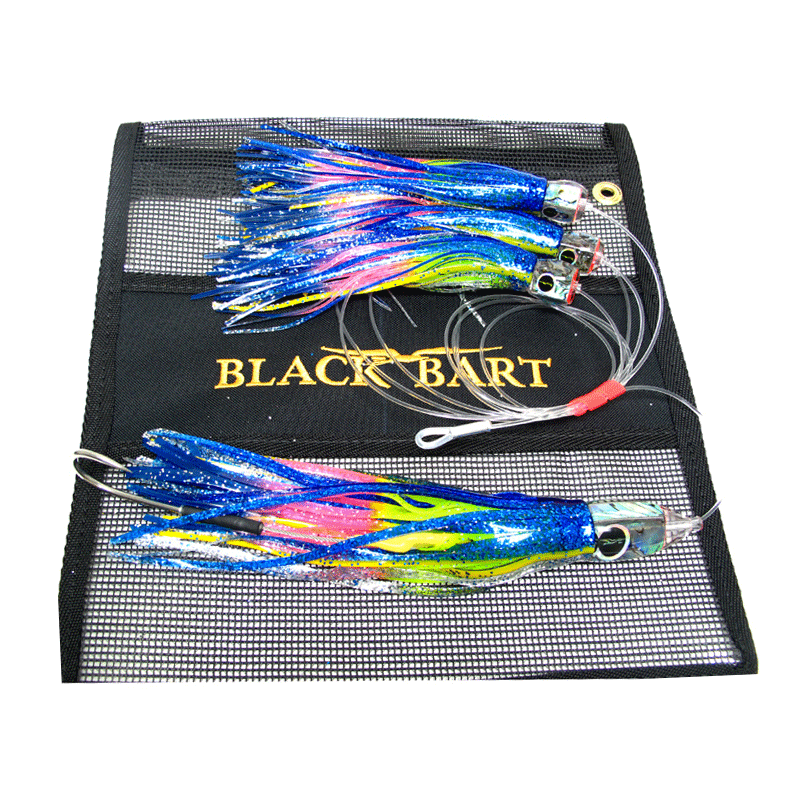 This teaser rig is available in a choice of colours and is supplied in a lure pouch.